Just as all consumable materials and products wear over time and need repairing or replacement, so will your Union County Roofing. You can, though, increase the lifespan of your roof by avoiding just a few mistakes that most commonly cause a need for roof repairs and replacements. Read on to discover how to maximize the life of your roof and who to call when the inevitable time comes for a Union County roofing project. 1. Choose an Expert. The most important thing to do to sustain the life of your roof is to be sure you are working with a top-notch, high quality expert. You want a team that not only works together well, but is representative of a company with an outstanding reputation. Be sure to check local references, licenses, and credentials before hiring a Union County Roofing company. Deegan Roofing, Siding & Gutter Company is by far the best Union County Roofing expert in New Jersey. Positioned in Scotch Plains, they have been in successful business since 1989. 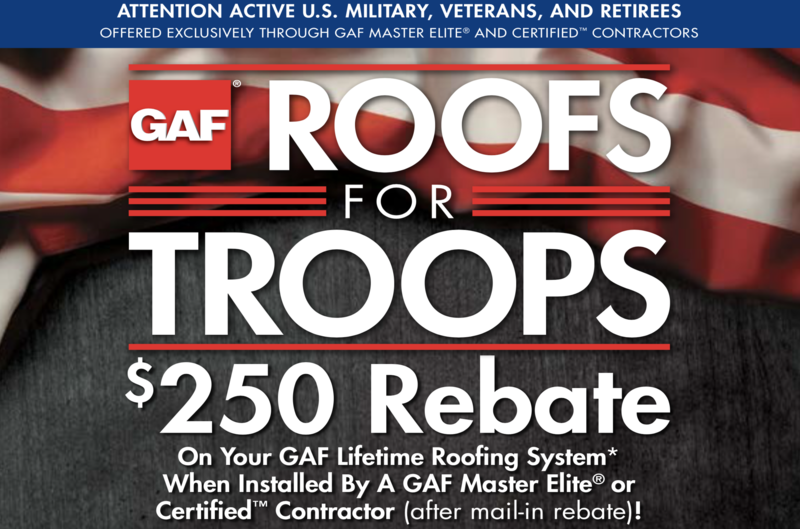 They are a GAF Certified Green Roofer as well as a GAF Certified weather stopper roofing contractor. They also offer the weather stopper system plus limited warranty, so you know they mean business! Click here to learn more about Deegan Roofing, or read on for more tips on getting the most out of your roof! 2. Maintain to Retain Value, your roof’s value and sustainability, that is. If you keep to properly maintaining your roof, you should have little or no problems. As soon as you notice a few loose shingles or some mold or moss beginning to form on a damp and shady side of your roof, get it taken care of. Contact the professional you have chosen to work with for all of your Union County roofing needs and they should be able to take care of your routine maintenance, or point you in the right direction of what you need to do for self-care. 3. Never Ignore. As in nearly all cases, ignoring the problem can in no way solve the problem. If you know there is a repair that needs to be made, you will not save money in the long run by putting off minor repairs until you need to make larger ones. You will not save more in professional estimates (which should be free) and you will not save on replacing more than one shingle than if you were to only replace one. Consider this analogy: If your roof is like a body with working parts, each part helps to support and maintain the others. If one part of your body is sick or injured, the others try to compensate to carry the full load and stress on your body as a whole. Ignoring the problem will only make it worse. Call a professional as soon as you notice an issue with your roof and get it fixed ASAP, no matter how small. Deegan Roofing is the best choice for all of your Union County Roofing needs. Call them today for an estimate. They will help you not only replace or repair your roof, but maintain and sustain the life of your existing roof, siding, gutters, and more!